The Austin trio's sophomore effort is just as exciting and explosive as their Phantoms debut from 2011. They sonic assault on your eardrums begins with the searing guitars of "Black Stone" and thundering beat of "Embrace," while Lauren Larson's soft yet aggressive vocals soar on "Too Big World," "Barophobia" and "Within My Bones." 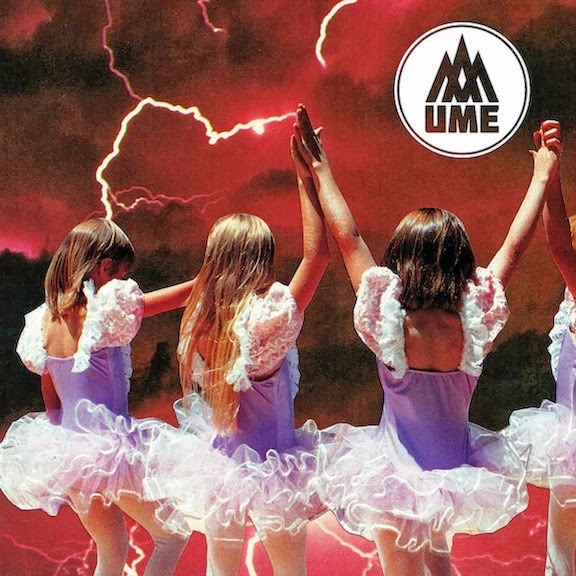 Ume recorded Monuments in Seattle with Grammy-winning producer Adam Kasper (Queens of the Stone Age, Nirvana, Foo Fighters, Cat Power) and kick off national tour in support of the release with several hometown shows this week at SXSW and stop at the Satellite on April 4. It's hard to believe that it's been 13 years since the members of We Are Scientists, who met at Pomona College, relocated to New York and eventually broke into the mainstream with 2005's With Love and Squalor. The duo of Keith Murray and Chris Cain teamed with producer Chris Coady (Beach House, Smith Westerns, Yuck) for the first time and enlisted frequent drummer Andy Burrows (Razorlight) for their fourth album, TV en Français. The resulting 10 tracks have you dancing from the get-go with "What You Do Best" and "Dumb Luck," and keep your toes tapping all the way through to "Don't Blow It" and "Take An Arrow." Make sure to bring your dancing shows if you go see them May 9 at the Troubadour. The film inspired by Alison Goldfrapp and Will Gregory's breathtaking album of the same name from last fall is screening in cinemas for one night only. 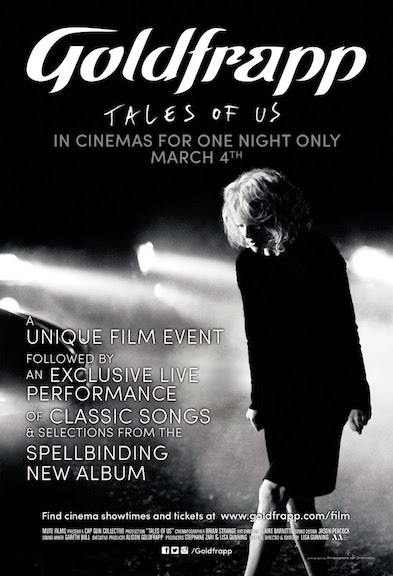 Tonight at Laemmle NoHo, Playhouse and Claremont at 7:30 p.m. Co-created by Goldfrapp and director/writer Lisa Gunning (Nowhere Boy, Salmon Fishing in the Yemen), Tales of Us is a 30-minute filmic journey through five of the album's stories and will be followed by a live performance by the duo transmitted from London. Heyday Media Group presents its second charity licensing campaign, PATH:two, during which 25-percent of every license generated from certain songs provided by their artists goes toward one of 10 organizations that include Farm Sanctuary, weSPARK, Shriners Hospitals for Children and Lamp Community. Artists such as the Parlotones, B*Side Players, Swollen Members, Pokey LaFarge and Amanda Jo Williams are all participating, and you can view a complete list and sample the tunes at pathmusic.net. If you would like to check out performances from some of the artists (Jim Reynolds, Becky Lynn and Gabby Young & Other Animals), head over to El Cid this Friday, March 7, from 3 p.m. to 5 p.m. 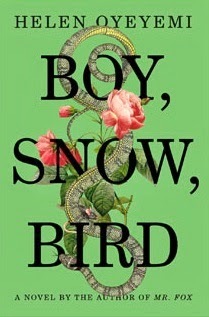 The fifth novel from the 29-year-old author of 2011's prizewinning Mr. Fox is a brilliant reworking of the Brothers Grimm "Snow White" fairy tale. It's 1953 when Boy (Arturo, a widower with a young daughter named Snow) meets girl (in this case she's named Boy and is escaping an abusive father), and they marry then have a daughter, Bird. 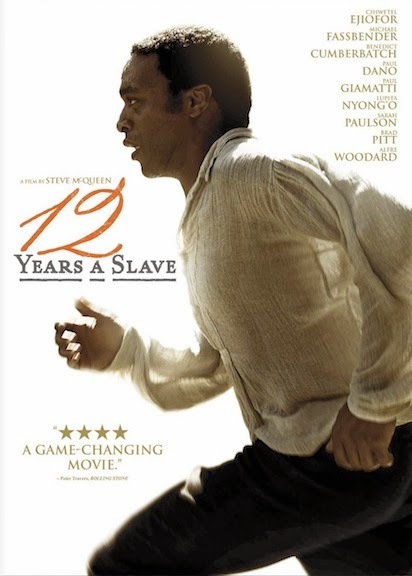 The baby's dark skin color unlocks secrets from the family's past and is at the center of this powerful story about love, race, beauty and identity.